Ryomkarate is a volunteer school for children, young people and adults who want to challenge and develop themselves or to develop their cooperative skills with other people, children and parents. As a volunteer school, we attach great importance to the relationship between both the volunteers and the school members. The school offers the training of the very young as well as juniors, adults and families. Karate is not, as most think, a sport like football, handball, etc. Karate is education at a very high level and with deep roots in ancient Japanese traditions and customs. This means that it is important for us that our members use as much effort, time and motivation to cultivate their academic and cultural background as they use to finslibe their technique and physics in their training – we believe the martial artist is a cultured person, even in modern times. Our training is based on Wado Ryu Karate, a classic Japanese style, characterized by rapid movements, positioning one’s own body and using the opponent’s energy to overcome him. We have developed an age differentiated curriculum: One for children 5 to 8 years, one for children 9 to 14 years and one for adults. In this way we guarantee a training that is adapted to the student’s abilities. 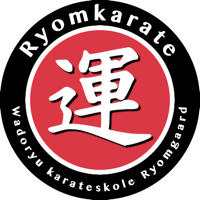 Ryomkarate’s Board consists of members who are either active practitioners, fathers or mothers of children and young people who work in the club. All members play an important role in the club’s forward-looking development. When you are in the Dojo, you must behave properly with the others who participate in the training. You must respect what your instructor or assistant instructor says and do as you are told without questioning facts, purposes and processes.